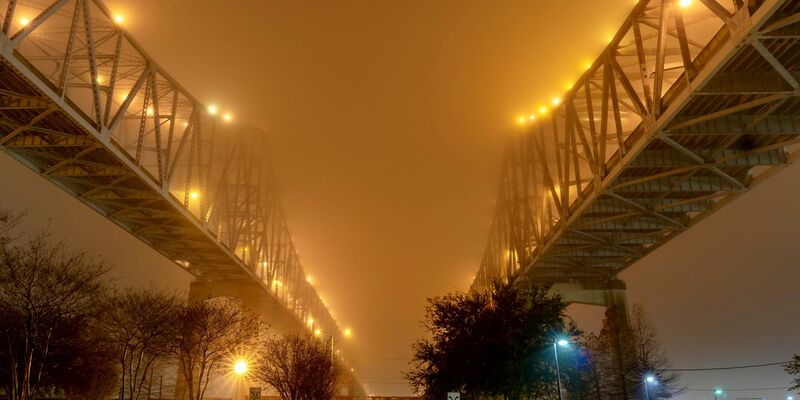 Early morning fog over the Mississippi River at the Crescent City Connection from Cory Naquin on December 30, 2018. NEW ORLEANS (WVUE) -A Dense Fog Advisory is in effect through 9 AM. After that, most cloudy and damp conditions are expected with passing light showers throughout the day. Highs will reach the upper 60s to near 70. Rain chances are even higher on Thursday as our next front approaches. A few storms are possible Thursday night, but rain will clear on Friday morning as the front passes. Clouds will finally break and a cooler feel will return for Friday and Saturday. Highs will be in the upper 50s and low 60s. Expect dry skies through the weekend. Sunday and early next week we expect to warm up again with our next front due on Tuesday.